How essential is it to have spotless streak free windows in your restaurant, hotel, bar, or cafe? Very! You might lose potential guests if they can’t see in (or out) through dirty windows. 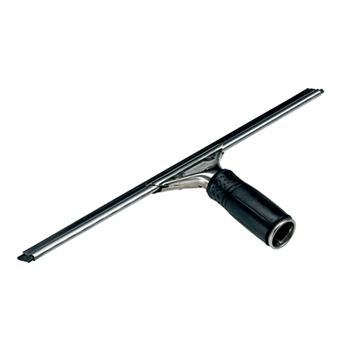 We offer window squeegees with soft rubber blades that allow for a streak free glimmering shine. Choose from our different sizes to fit larger window fittings, or shorter blades for handheld use!